The Neopians involved with this operation hope to find homes for all unwanted pets of Neopia. What we do is find "unfortunately" named pets in the pound and zap them until they are more desired. We advertise them for one week. free pound so the pet finds a random home or keep zapping for another chance. Some may say that color doesn't matter. Well just take a look in the pound, it seems names definitely do. We want to give these pets a fighting chance! 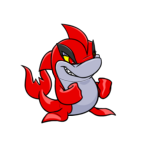 Click here to neomail me at labberholic the name, species and colour of the pet, as well as the account you wish to be contacted at for adoption inquiries. Please notify me of any colour/species change that may occur while the pet is being advertised. ONLY GUILD MEMBERS CAN ADVERTISE THEIR PETS IN THE AGENCY. Clickable links are available to view the pet of your dreams before you mail the foster. All pets contacts are listed below the pet. If there are instructions for adopting the pet, please read and follow them so things go smoother. EVERYONE CAN ADOPT OUR PETS! We do NOT require applications or have lots of insane rules. A friendly, polite neomail asking about the pet in question will generally suffice. Please remember that the more popular pet colors will likely have several people trying to adopt. It is at the owner's discretion to choose the right home for their pet. You did not find your dream pet? Bookmark us and check back later. We update the agency everyday! Please take a look at the OWA members Pet Wish List, we have dream pets too, perhaps you can make one of us very happy! For more information on TNT adoption rules, please click the button below! 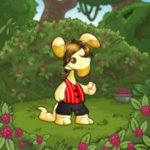 IN NO WAY ARE THESE PETS FOR SALE OR TRADE: NOT FOR NEOPOINTS, ITEMS, OTHER NEOPETS OR BRIBERY. ANY ATTEMPT AT RULE BREAKING WILL GET YOU REPORTED. THERE ARE NO PROMISES OR GUARANTEES THAT THE TRANSFER WILL BE SUCCESSFUL IF THE TRANSFER FEATURE ISN'T USED. WE, AS A GROUP, DO OUR BEST TO PLACE PETS INTO HOMES WHERE THEY WILL BE LOVED. WE SIMPLY HOPE FOR THE BEST FOR ALL INVOLVED.